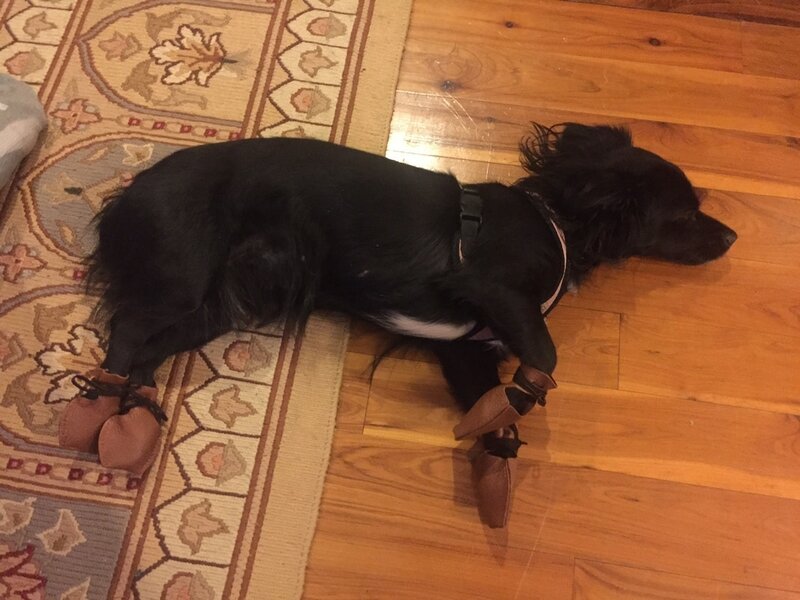 Do you have a testimonial for Dog Mocs? Deb, The Mutt Master, talks to Mark Haines the inventor of Dog Mocs...awesome new footwear for dogs! "Dog Mocs are a great product. 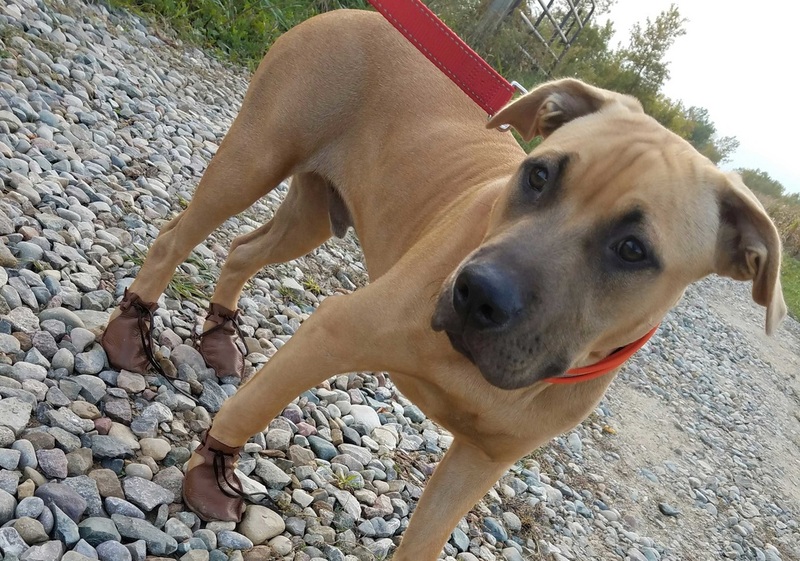 No other boot has stood up to the rigorous training of our K-9's, until Dog Mocs. We put them on our fastest and most aggressive K-9 and conducted normal training exercises for 3 weeks. The Dog Mocs never fell off....the K-9 was able to perform without distraction....and there was not one rip or tear, which given our training in the Texas desert, is pretty amazing." 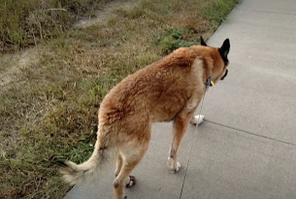 "Thank you Dog Mocs for inventing the perfect product with such serendipitous timing for Nikki our 14+ year old Belgian Malinois mix............Nikki has been fighting hip inflammation since she was 9. Recently....... she was dragging her hind legs to the point of wearing down her nails to the quick. Nikki is accustomed to at least 2 mile walks a day. 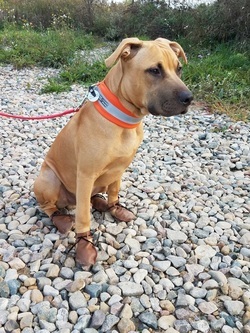 We were quite concerned of a decline in her health if we couldn't maintain her activity levels...... We had tried various "booties" in the past with zero success and went looking for alternative solutions, and found Dog Mocs.............Nikki accepted wearing them IMMEDIATELY! I was shocked at how Nikki took to them like a second skin....... We were thankfully back to our walking routine..................Nikki is a special senior care case and finding the Dog Mocs were a true God-send! I hate to imagine how quickly her health could have deteriorated without the daily walks. In fact, since Nikki has started using the Dog Mocs, her gait, stamina, and speed has increased......I love this product and so does Nikki!" "Thank you for your help and support for Nicki's boots. We found nothing here in Australia that worked. 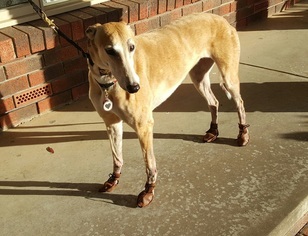 She has severe dermatitis and thought I'd never find protective boots that not only would fit a Greyhound, but some she'd actually be comfortable in. Your Dog Mocs are just amazing! She loves them." "Moki and I test many products for our Instagram account and we think Dog Mocs are GREAT! Moki did not like walking down a nearby nature trail, because it's almost 90% uneven, large rocks. But with Dog Mocs, he just skips along the rocks now! I would definitely recommend you invest in a set for your pup...and they come in many sizes. Two PAWS up!!" ​"The first time I took Rose out with her Dog Mocs, she ran like she has never ran before. Before, she ran very gingerly along the pavement, but I thought it was just her normal. But with Dog Mocs, she literally pounded the pavement, as she ran without a care. I didn't realize, until that moment, how sensitive her paws were on concrete. My sister and I couldn't stop smiling.Thank you, Dog Mocs, for giving Rose a little better life! "